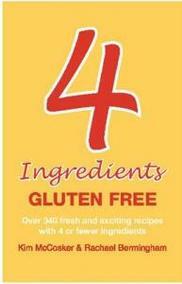 Source – Purchased overseas but have found other books in the “4 Ingredients” series in MacGrudy’s Bookshop. Another book in the highly popular “4 Ingredients” book series from Australian authors and parents, this book is specifically for gluten-free people and has over 400 recipes made with 4 or fewer ingredients. Whilst the recipes aren’t going to win any gourmet food awards for complexity, there is lots of basic recipes covering everything from breakfasts and snacks to full main meals that can be accompanied with vegetables and salads – all with gluten-free ingredients. Being basic in style also means that there is greater chance kids in the family will enjoy them and sometimes the main food preparer in the household just needs a little inspiration and doesn’t want to have to think too hard – making this book just perfect for those occasions. The book also carries the endorsement by the Australian Coeliac Society. 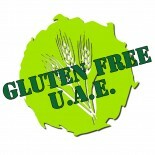 This entry was posted on 05/10/2011 by glutenfreeuae in Reviews and tagged book review, celiac, glutenfree.